When you're living in less than 200 square feet, every inch counts. But small square footage doesn't have to mean missing out on comforts typical of larger homes, like storage and guest space. You just just have to be a little more creative. "If you don't have a good design with a tiny home, it's not going to be possible," said Ryan Mitchell, who writes The Tiny Life and lives in a 150-square foot home. "They have to be well-designed and customized to the person living in them." Tiny homes, which are often described as 400 square feet or less, have become a popular housing option for people looking to downsize -- whether it's their budgets, belongings or both. 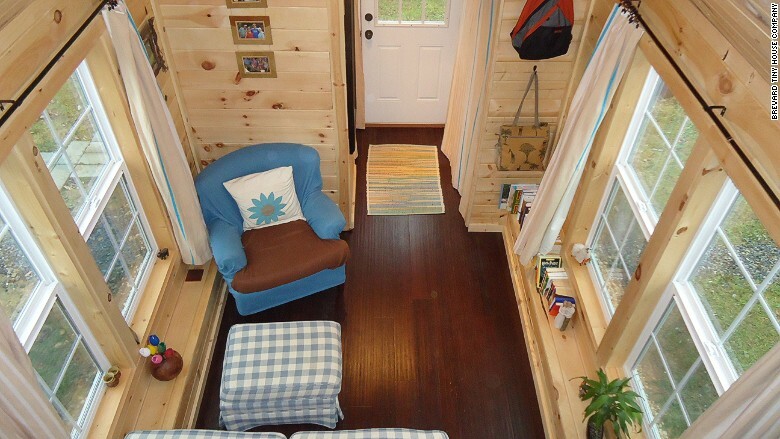 Tiny homes often have a lofted bedroom and the stairs to the space can serve double duty. 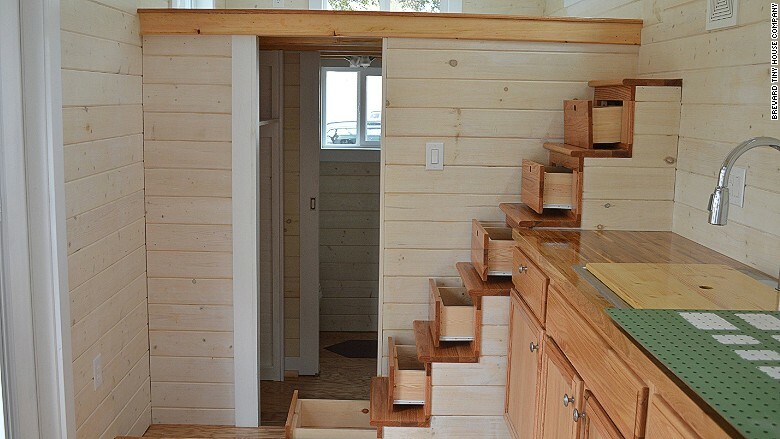 Annelise Hagedorn, co-founder of tiny home builder Brevard Tiny House, has built staircases into homes where each step pulls out as a drawer. She's also built stairs that hide a hot water heater. 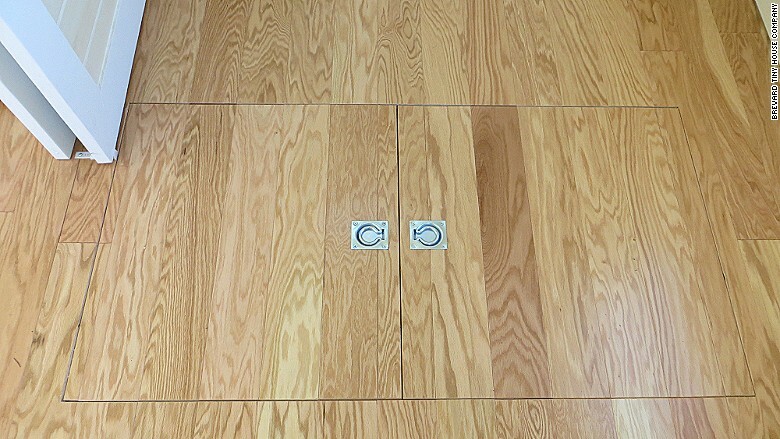 Underfloor storage is also common. "We've done underfloor storage for the entire living space," said Hagedorn, whose company launched in 2014 and has completed three tiny homes and has two more in the works. The storage can be about a foot or deeper and the handles to open the space can be covered with rugs or furniture. The space between ceiling rafters can be used for storage, and even the kick plates at the bottom of kitchen cabinets can pull double duty. "Where your feet scoot under the cabinets, that is wasted space," said Mitchell, "They turn that [space] into a drawer." 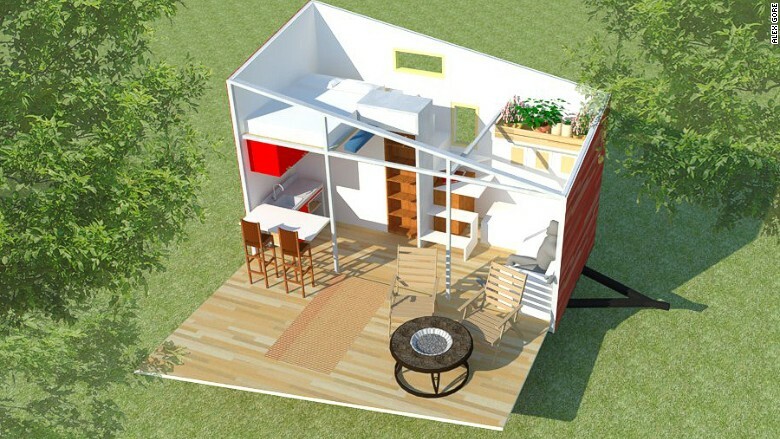 Alex Gore, co-founder of tiny home builder Atlas, is getting ready to start construction on a 196-square foot portable tiny house, and the design takes the concept of "bringing the outdoors in" to a new level. One of the home's walls will be glass and include a sliding door. The glass wall will be covered by an outside wall that folds down. The bottom part of the wall folds down into a patio for the home, while the top part of the wall can be propped up with motors to create an awning to the patio. The concept of a Murphy wall bed isn't constrained to the bedroom. Hagedorn created a home where part of a wall that divides the kitchen and living area slides to create a private space if guests are staying over, but it also has a hidden table that folds out from the wall and seats four. Only the part of the wall with the fold-down table moves. Gore and his team's kitchen design also includes a pop-up window bar. 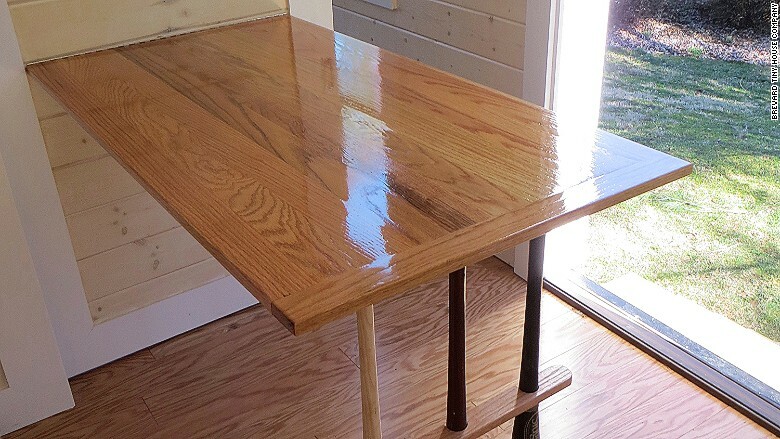 "You can open it and there will be a piece of wood that slides and hooks into the window."